Endodontic treatments or root canals are utilised to repair and save a tooth that is extremely decayed or has become infected. 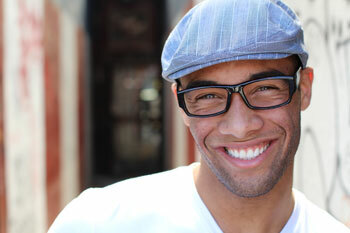 Rather than losing your natural tooth, Smiles Are Us will restore it from the inside and provide it greater longevity. If you are experiencing symptoms of pain, abscessed gums, sensitivity to hot or cold, swelling, or deep cavities, you might be a good candidate for this procedure. Why Should I Opt for a Root Canal? The single most significant benefit of root canal therapy is that you preserve your tooth. Did you know that extraction may lead to other dental issues? These problems include shifting of teeth, bite issues, TMJ pain, and the need to treat neighbouring teeth that do not otherwise require dental treatment to restore the missing tooth. Despite the many modern and effective tooth replacements available, nothing is as ideal as your natural tooth. Endodontic procedures can take up to four appointments to complete. To begin the process, your dentist will remove the nerve from the inside of the damaged tooth and place medication in the open space, acting as a temporary filling. At your next appointment just a few weeks later, we will remove the filling, clean the tooth, and replace the medication inside the tooth. Following another three-week wait, you will return for your third, and most likely, final visit. If your tooth is finally causing no pain, your dentist will then fill the inside of the nerve chamber and permanently seal the tooth. Lastly, to strengthen the tooth, a crown will be placed on the tooth to prevent it from breaking. Rest assured that we feature various sedation options to make you as comfortable as possible during your root canal appointments. Unlike other complex dental treatments, many people say that root canals are no more painful than a standard filling, and they are able to return to normal activities soon after. The amount of pain one experiences when in need of an endodontic procedure often supersedes the pain from the care itself. While moderate pain in the gums around the site is expected, for many, relief is immediate. Sore gums can be helped by over-the-counter painkillers as well as avoiding chewing on the side of the mouth that underwent the operation. Although teeth that require endodontic treatments still exist, they are technically “dead,” which means these teeth will naturally begin to break down over time. Routine dental visits and consistent at-home hygiene are especially crucial for those who have undergone root canals. Smiles Are Us is here to encourage you to practice regular maintenance to keep your smile healthy and decrease the risk of future procedures. Do you need a root canal? Contact our practice to book an appointment.